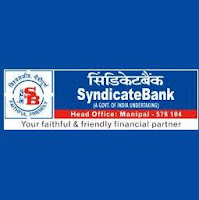 Home 2012 clerical Jobs Notification Probationary Officer recent Recruitment syndicatebank Recruitment of Probationary Clerks in Syndicate Bank- 2012. Recruitment of Probationary Clerks in Syndicate Bank- 2012. Syndicate Bank invites applications for the post of Probationary Clerks from Indian citizens who have taken the Common Written Examination for Clerical Cadre conducted by IBPS in Nov./Dec.2011 and have a valid Score card issued by IBPS subject to fulfillment of other eligibility criteria. For details regarding vacancies and cut-off marks State/UT-wise, category-wise, eligibility criteria, fees/intimation charges, application procedure, selection procedure, reservation/relaxation etc., please visit the Bank’s website www.syndicatebank.in between 01.06.2012 and 15.06.2012. The Clerical recruitment would be on State/UT-wise basis. It will therefore be necessary that candidates apply for vacancies of State/UT from which they have appeared for the Common Written Examination in which they have qualified. Candidates should possess proficiency in the Official /Regional Language of the State/UT for which vacancies he/she wishes to apply (To read, write & speak).